Meal Menu Plan day!! It's Saturday!!! I'm adding more meal menus in our Weekly Menu Collection. This week's meal plan includes 9 recipes with one option for each weeknight, a bread, and dessert. I picked most of recipes keeping summers in mind. 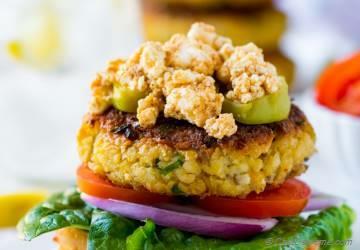 Monday starts with our meatless dinner of week. 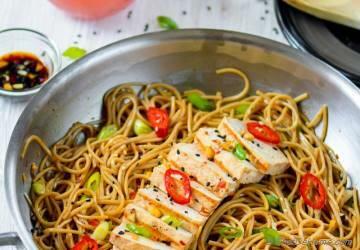 This menu includes few dinner salads and lite weeknight meals. 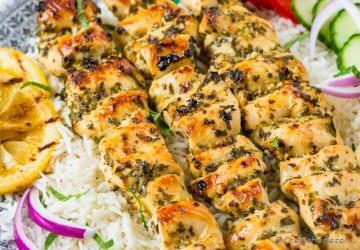 Also, keeping in mind Grilling Season, and have included grilled chicken/veggie inspired recipes. I hope you will enjoy! 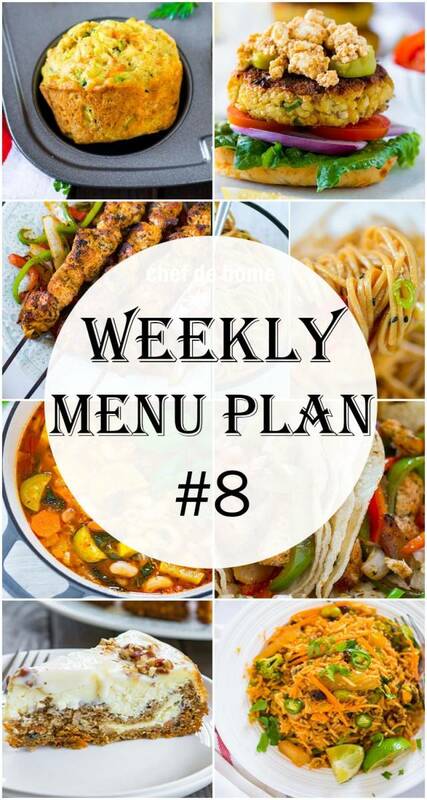 You can also pick and choose recipes from previous meal plans here. PS: I'm so caught-up with our move right now! So sending some meals ideas your way.. Will be sharing some delicious recipes soon! Let's keep Monday simple, delicious and meatless! 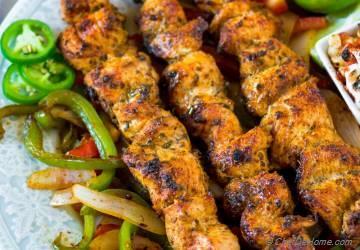 Tuesday - Switch on grill for chicken fajitas tacos dinner made with homemade mad fajita seasoning! Leftovers great for a lunch salad! 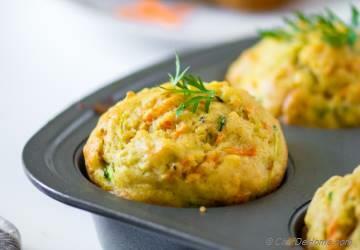 Wednesday - These chickpea cakes can prepared a week advance. Can be baked or pan fried. For a lite meal, serve topped on green salad instead of burger buns. Thursday - Healthy salad does not it tastes boring! 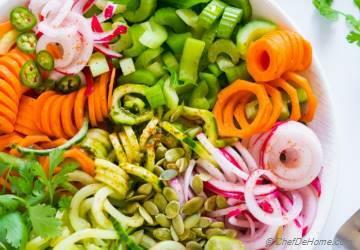 This salad can be a filling plant-based dinner on it's own or you can serve it on side of grilled meat too! 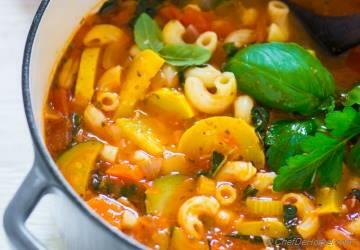 Friday - This soup is loaded with summer veggies. I find it perfect to clean the fridge of fresh produce. Leftovers make great lunch and freeze well. Saturday - How about some Asian today? 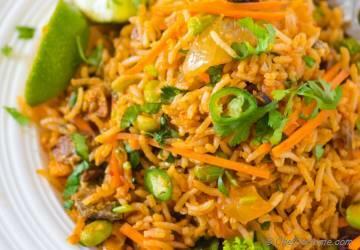 These fried rice have lots of veggies and are not as spicy as you might think. Add some protein - shrimp or chicken! 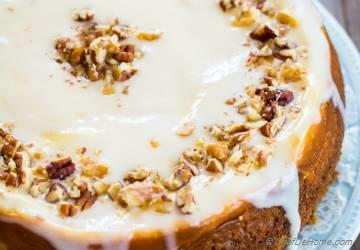 June is incomplete without a Carrot Cake for dessert! Make some! It is easy, moist and has a layer of cheesecake as well!